Lowes or Home Depot which is better? Well, that is not such an easy question both stores have great advantages. Practically anything you need for a remodeling project can be purchased at Lowes or Home Depot. Both are equally as competitive in their quality and pricing. This is great news for the DIY’er and local contractors but not so great news for local hardware stores and lumber yard. I have spent countless hours in both stores over the years and this is what I found. Home Depot is slightly more geared towards contractors and tradesmen. Their floor space is utilized by mostly raw building materials and essentials for contractors. Whereas Lowe's, while also stocking many of the same items has a more homeowner friendly environment geared towards decor and outside living. Customer service, product availability, and store accessibility can vary greatly depending on your area of the country. With both companies some stores are better than others. For example in my area we have two Home Depots very close to each other. One is a great store, easy to navigate with excellent customer service. The other is the worst Home Depot I've ever been in. The parking can hardly accommodate a pick-up truck, the customer service is terrible, the store is small and poorly stocked, I could go on, but I won't. In fairness, this store is not typical in my dealings with Home Depot, an unfortunate one-of-a-kind in our area. Lowes can be the same way, some of their stores are great some not so great. It really depends on where you live as to which store is better. As a professional carpenter I tend to spend more of my time in Home Depot than in Lowe's simply because they seem to have what I need when I need it, more often than Lowes . Home Depot and Lowes are great when buying building materials, but for a cheaper and easier alternative when buying tools. Amazon.com consistently offers the lowest prices on name brand tools. 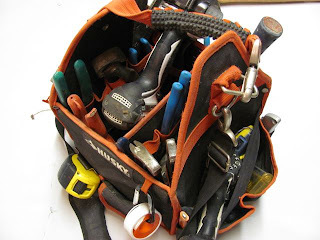 I am often asked “What brand of tools should I buy?” Whenever possible I buy and use high-quality tools. It's quite frustrating when you buy an expensive tool (even cheap tools are expensive) and it breaks after only a few uses. Over the years I've found there are a few brands you can trust. My top three brands for carpentry and woodworking tools are Makita, Milwaukee and porter cable. Now don't get me wrong, other toolmakers are capable of making good tools. And my big three have put out a few lemons over the years. However these three tool giants have served me well throughout my career as a carpenter. All my routers are Porter Cable. Porter Cable is legendary for their routers and router accessories. They are high quality, commercial grade, and built to run hard for long periods of time. So why mess with perfection? 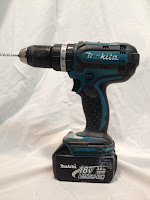 Mikita Cordless drills have been a favorite of mine since I began woodworking many years ago. 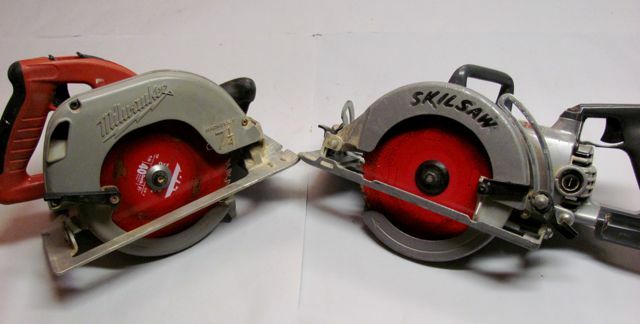 I own other manufacturers cordless drills but I always reach for the Mikita. I prefer Milwaukee saws and electric drills for their power and versatility. 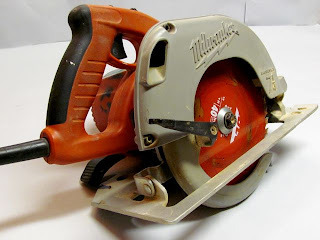 Milwaukee made their name with the Sawzall and has continued to produce great saws and specialty electric drills. I do use many other brands of tools for certain jobs. For example, I love my Bosch Laser Level. I have owned many Bosch tools (and a couple of dishwashers) for the most part they have served me well. Dewalt tools are a division of Black & Decker tools (although I try not to hold back against them). Even with that being said, they have been truly innovative in the design and application of power tools over the last 20 years and have helped to push other tool manufacturers to think out of the box to redesign tools for the modern age. It's amazing how accessible quality tools are these days, and for a good price. Amazon.com offers the most competitive pricing for name brand tools throughout the country. Great deals can also be found at your local pawn shop or on craigslist.com. I can't even count how many tools I've bought and sold through craigslist.com and can't remember ever having a bad experience. For more about buying used tools check out “Should I Buy Used Tools”. Whichever Tool Manufacturer you decide to go with, just remember, you get what you pay for. Stick with the name brands and you will not be sorry. 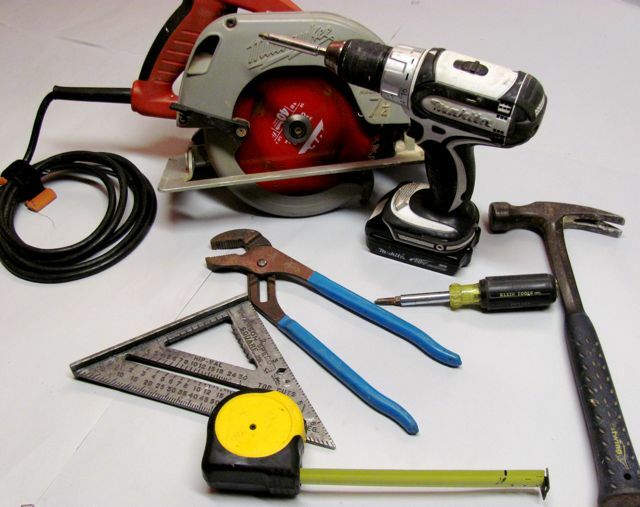 Circular Saw, Reciprocating Saw, Jig Saw, drywall saw, hole saw, handsaw, and a hacksaw. These are just the saws that I carry with me everyday, not to mention all the specialty saws in my home and shop. Now, I can admit it “My name is Curtis and I am addicted to tools”. Luckily my chosen profession allows me to feed my addiction with little guilt, however for the average homeowner the basics will usually have to do. In this on going article I will list the saws needed for everything from basic household repairs to advanced home improvement projects, which models I prefer and why. Check back each month for the next saw in the series. The most common type of power saw is the Circular Saw it is typically used for crosscuts (across the grain) and rips (cuts with the grain) in dimensional lumber or plywood. With a little practice most people can master cutting with a circular saw. 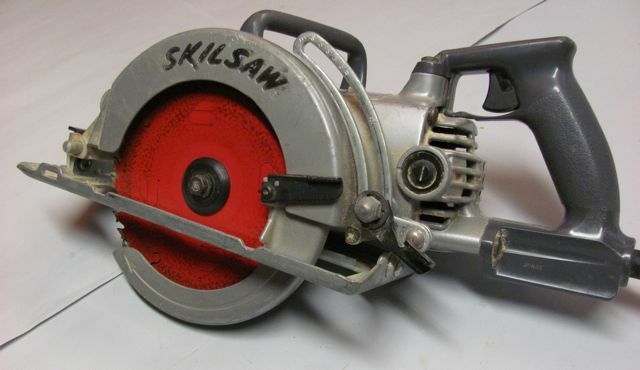 This type of saw is very versatile and can handle most cutting tasks; in addition it is quite compact which makes it ideal for storing or transporting. Circular Saws come in several varieties, the traditional style known, as a sidewinder in which the motor is located on the left side, is lightweight and compact. A left-handed version which is opposite of this type is also available not only for left-handed people. Many people find this version easier to operate and to see the cut line. A Worm Drive is another type of Circular Saw. This model has the motor on top instead of the side and is much heavier it also has considerably more power. This model is more common on the west coast and was invented and used for framing houses during the 1950’s housing boom in California and has remained very popular by professionals. I have and use both types sidewinder and worm drive and to be honest I love them both. I keep the Milwaukee sidewinder in my truck and use it all the time. Because its bigger and heavier I keep the Skill Saw Worm Drive in my shop. I would have to say the worm drive cuts smother, easier, and straighter on long cuts. But for cross cuts and general cutting I prefer and recommend the Sidewinder. Water proofing your home is very important! From the roof to the basement (or crawl space) interior spaces must be kept dry. Water infiltration of any sort can lead to major problems such as mold, insect infestations, rotted wood, damaged masonry, or in extreme cases, even building failures. Water Proof your home now to prevent damage later. Because of their proximity to a home’s failing gutter system, rotted exterior trim boards are very common. Gutters and downspouts must be maintained; they are the number one cause of water into a home. Other common causes of water infiltration are poor drainage around your home, clogged splash blocks and underground drains, or even a leaky hose bib. Detecting water leaks can be very tricky but if you take a logical and methodical approach most homeowners should be able to detect their own leaks. The first step is to fully understand how your home’s water shed system works, and the general principals of water flow. Gutter backups are the most common cause of water coming into a home. However many people will insist that their basement gets wet because the water table rises during wet weather. This is almost never the case! I have run across this problem before but it is very rare and usually only in extreme conditions or very low lying areas. The best procedure for water proofing your home would be to start at the top with a roof and gutter inspection and “Follow the Water”. Inspect down spouts and splash blocks, and make sure the grade is sloping away from your house. -Also make sure your gutters are not bent down in the middle (from snow or ice) and they flow properly. If water is heaping over the edge or running down the side of your house because of a gutter problem then damage will occur and your basement may get wet. -Inspect all downspouts to make sure they are attached to the gutters properly and are connected to your house. -Also confirm that any elbows, bends, or connections are properly attached and clear of debris. -Make sure your splash blocks (the concrete or plastic blocks at the bottom of your downspouts) are in place and sloping away from your house. -Some homes have under ground drains instead of splash blocks, these drains can be very prone to clogs. -Try to confirm that under ground drains are flowing properly by using a garden hose to flush them out. -All dirt, mulch, grass, side walks, patios or whatever surrounds your house must slope away from the house and continue sloping for at least 8 feet. 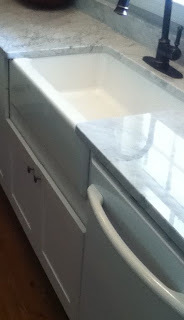 -Make sure all splash blocks and downspouts slope with the grade. Keeping water away from the house is very important when water proofing your home. 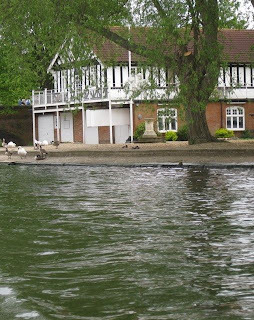 However, with some homes this is not enough or not an option at all. Installing a Drain Curtain and waterproofing membrane to your foundation walls is very effective for most conditions. But, because it requires complete excavation around all foundation walls, it is very costly. This is messy and expensive and should be done only as a last resort.